Local education authorities have been a bulwark of Conservatism. They were established by Arthur Balfour’s Education Act in 1902. Their role in education was entrenched by Rab Butler’s 1944 Education Act. Lady Plowden, the author of the 1967 report which transformed English primary education was the wife of a Conservative local councillor. Somewhere along the way, national conservatism lost patience with localism in education. By the later 1980s, Kenneth Baker established Grant Maintained Schools and City Technology Colleges to by-pass local authorities: directly funded by central government, CTCs and GM schools were essentially national schools. In the later 1990s, Andrew Adonis, a Labour minister enthusiastically adapted the CTC model to shape a new form of urban school and the academy – initially the City Academy – was born as a central-government directed intervention in areas of profound and persistent social challenge. Michael Gove subsequently repurposed Adonis’s Academy model to resuscitate the Grant Maintained idea in the 2010 Academies Act. The March 2016 Education White Paper essentially emasculates a century of local authority conservatism and replaces the 1902 and 1944 settlements with a radical new education structure. By 2022 all schools will be national schools, directly funded by the secretary of state for education, but franchised to school operating charities. Local councils will have a prescribed but contained role: a responsibility, which it is difficult to see how they can discharge, to ensure a school place for every child, to co-ordinate the admissions behaviour of school groups, and to secure the provision of services for children with special needs. The Education White Paper published following the 2016 budget is riven with contradictions. It frequently espouses a school-led system, but its chosen policy lever is the Multi Academy Trust or MAT. Power will move away from individual schools to MATs, clusters of schools with combined purchasing power, operating models and brands. Power will move decisively away from parents, as the requirement on MATs to have parents on the governing body is abandoned, replaced by a non-executive board made up of ‘appropriately skilled’ individuals. Power will move decisively away from communities, as assets are transferred from local authorities to new legal entities who will operate schools. Indeed, in cases of failure within and across MATs assets may be transferred by the secretary of state to new providers. Power moves decisively away from communities to MATs, with their appointed rather than elected directors. This is the most radical reshaping of education governance since the 1902 Education Act. If this White Paper is translated into action, then Nicky Morgan, widely seen as an emollient successor to her radical predecessor, Michael Gove, will be the most radical reformer in English education for a century: others have tinkered with the1902 structure but this is a decisive break. If the world conjured by the White Paper comes into being then the locally-managed world of 1944 and 1988 will be replaced by a centrally-directed and franchised education system. And this will be effected within six years. There is no doubt that the White Paper will have some sharp impacts even without legislation: white papers create an atmosphere as much as they drive legislation. Even on the most generous of interpretations, this is a huge gamble. 80% of schools in England are good or outstanding. However good they are, such schools now face the prospect of several years of significant administrative and regulatory upheaval. OFSTED, perhaps the most important driver of school improvement over the past twenty years will lose its power to make judgements about the quality of teaching – even though the global evidence is strong that the quality of teaching drives outcomes at school level. University schools of education will lose their role in conferring qualified teacher status, despite worldwide admiration for England’s approach to partnership in initial teacher education. As already noted, parents will lose their place on governing bodies, despite the strong evidence that community engagement with schooling drives effectiveness. In their place, the White Paper offers a corporate school governance model and, across any number of domains, a strong belief in the power of technology to generate the information systems which will drive effectiveness. The 2016 Education White Paper is a decisively centralizing White Paper, placing enormous power in the hands of the secretary of state. The localism of 1902 and 1944, with their belief in local government, and of 1988, with its belief in parents, have been replaced by a faith in the corporate leadership of MATs. It’s difficult to see that this system can be established without a good deal of chaotic upheaval, and equally difficult to see a straight line to improving outcomes for children. What Arthur Balfour, Rab Butler and Lady Plowden would have made of it all is anyone’s guess. 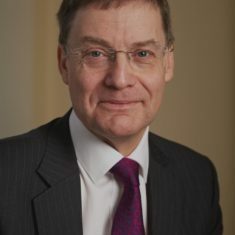 As Director of the Institute of Education, he led the organisation to top position in the QS world rankings in two successive years, to the Queen’s Award for Higher Education and a dominant position in UK education research. Professor Husbands’ external positions include: Member, ESRC/HEFCE Centre for Global Higher Education (CGHE) Advisory Board (2016-); Member, University Alliance (2016-); Member, Universities UK (UUK); Member, UUK Teacher Education Advisory Group (TEAG); Member, UUK Student Policy Network (SPN) (2016-); Member, International Council of Confucius Institutes, Beijing (2013-). He is also an Honorary Fellow of Emmanuel College, Cambridge and Fellow of the Academy of Social Sciences. Professor Husbands’ publications include work on education policy, teaching, teacher quality and history education and have been translated into Chinese, Spanish and Greek.